• This is the store for GalaxyLense.We're a genuine seller located at U.S ORLANDO,FLORIDA. • We offer an incredible variety of replacement lenses for you to choose. • We are offering quality items at lowest prices for the replacement lenses. Our Galaxylense ensure better clarity of vision and protect your eyes from harmful UV rays such as UVA and UVB. • Enjoy your visit at Galaxylense! • Made to fit Oakley Sliver by Galaxylense. • 100% UV400 eye protection against UVAB sun ray. • Repel coating against dust and water. • Excellent all-purpose for sunny outdoor conditions and truer color perception. • Anti-glare UV blocking filters. • Galaxy Polarized tint lenses blocks the sun's reflective glare and is highly reflective reduce the amount of light that reaches the eyes. • Exceeds ANZI Z80.3 standards and FDA impact resistant, shatter proof safety standard. • The shipping charge is FREE in u.s.
• Purchase does not include frame. • Microfiber cleaning clothes included. • 100% Satisfaction,60 days money back guaranteed. 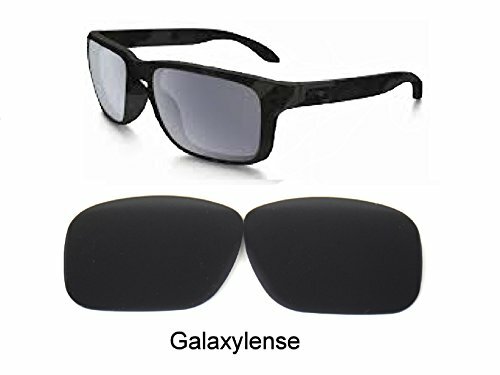 Galaxylense are made for Aftermarket Lenses(Non-OEM)and is not associated or affiliated to Oakley Inc. The listing items are manufactured by Galaxylense. 100% UVAB Protection Polarized Lenses. Built with the most superior lens technology and highest-quality materials with anti reflective & impact resistance mirror coating that provide superior optics,impact-resistance and great overall vision and performance. Shatter Proof Impact Resistance:Exceeds ANZI Z80.3 standards FDA impact resistant.It provides outstanding performance for specific environments and activities. 100% Satisfaction, 60 days money back guaranteed!The Galaxylense world has never looked better and clearer. If you have any questions about this product by Galaxylense, contact us by completing and submitting the form below. If you are looking for a specif part number, please include it with your message.